Financial contributions are an essential part of keeping REACH Studio open and operating. REACH is a 501(c)(3) tax exempt organization that serves the youth of Greater Lansing with free or low fee after school and summer programming. All contributions to REACH Studio are tax deductible in accordance with IRS rulings. 95% of REACH expenses go directly to programming. You will receive a receipt for your donation. Click here to set up a monthly or one time donation! We are always grateful to have others thinking of us when they have usable, good condition supplies or items to donate to REACH. Because of our major space limitations, we ask that you check with us first before dropping off any in-kind donations. If you prefer to purchase items for Reach rather than giving a cash donation please also call ahead and ask! Making a difference in the lives of Lansing Area kids doesn’t always need to come out of your pocket. Join us and give the gift of your time. Find out more about volunteering with REACH here. Join REACH Studio Art Center by becoming a board member or a member of one of our committees here. Did you know that you can contribute funds to REACH Studio Art Center at no additional cost to you? Specialized programs allow a percentage of your purchases to be donated to REACH. Check out some of the options below! Swipe your Kroger Card each time you shop and Kroger will make quarterly donations to REACH- up to $50,000! They divide this amount among every organization registered, so the more time our supporters swipe, the bigger our donation is! 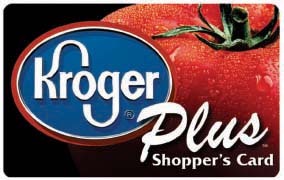 Click here to learn how to link your Kroger Card to REACH Studio Art Center. With every search you make using GoodSearch, a donation is made to the non-profit of your choice. Choose REACH Studio Art Center as your favorite charity and start give your searches, shopping, and dining more value. With every purchase you make using GoodShop, a donation is made to the non-profit of your choice. Choose REACH Studio Art Center as your favorite charity and start making your shopping count for more. With every purchase you make using Amazon.com, a percentage of your purchase can be donated to your favorite charity with AmazonSmile. Choose REACH Studio Art Center as your favorite charity and make your shopping more meaningful.